You’ll love this renovated Lawton Park craftsman home with refinished hardwoods. New paint, carpet, LED lighting. Two fireplaces and tons of storage. Big kitchen with stainless appliances, pantry and formal dining room. Two beds, full bath on main; One bed, 3⁄4 bath lower. Check out the theater with 120″ projector! Relax in the fenced, newly landscaped yard. Attached one-car garage plus RV/boat parking off alley. Minutes to Lawton School, Met Market, and Discovery Park, plus easy Downtown commute. Condition: Thoroughly upgraded with fresh paint, refinished hardwood floors (main level), new carpet (lower level), landscaping and new lawn. Brand new electric panel, and new wiring throughout. Location: East Magnolia, near Lawton school/park, Discovery Park, and Magnolia Village shopping. Near bus stop (Metro Route 24). 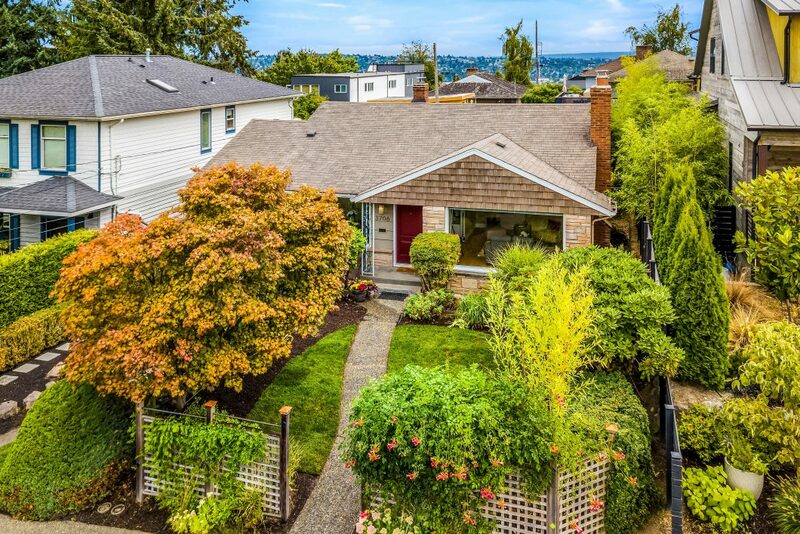 Community: Magnolia is an original Seattle neighborhood, featuring numerous parks, three public schools (one undergoing remodel to reopen Fall 2019), a shopping district, recreation center, outdoor public pool, library, and annual Seafair festival and parade. Per 2018 Seattle Public Schools assignment areas, elementary-age children at this address are guaranteed space at highly-rated Lawton Elementary, just a few minutes’ walk to school!